Set up your Traffic Catcher System today! It's easy and FREE! The December Marion Chamber of Commerce Business After Hours program will be held on Tuesday, December 2 from 4:30-6:30 p.m.at Marion Subaru and is sponsored by Hospice of Southern Illinois. The Illinois Chamber of Commerce, co-presented with the Illinois State Council Society for Human Resource Management (SHRM), invite you to attend the New Laws Forum. #GivingTuesday is a national day of giving. #GivingTuesday is about people coming together to make an extraordinary difference. You can make an extraordinary difference in the life of a student who is challenged with complex learning disabilities. Enjoy a three hour guided holiday art session. Paint your own pair of wine glasses while sipping wine, laughing, and having a good time! Paradise Alley Players presents Miracle On 34th Street December 5 & 6 at 7:30 p.m. and December 7 at 2 p.m. at the Marion Cultural & Civic Center. This is a holiday memorial service to remember and honor loved ones. Join us Sunday, December 7, 2014 at 2:00 P.M.
Join us for an afternoon at Alto Vineyards with a book signing and reading from Southern Illinois native, Flynn Falcone! The Marion Chamber of Commerce monthly Membership Luncheon will be held on the second Tuesday of each month at noon at Kokopelli. The cost for lunch is $13, payable at the door. On behalf of Thomas W. Franks, Chairman of the Board, and the entire Board of Directors of FARMERS STATE BANK, we cordially invite you to attend the official ribbon cutting at our second location - 2806 Outer Drive, Marion, Illinois. The event will include many promotional give-aways, tours of the new facility, appetizers and drinks as well as the opportunity to meet our team and enjoy networking with our clients, business leaders and friends. The Tasting Room at Walker's Bluff is hosting the 3rd annual Ugly Christmas Sweater Party on Friday, December 12 at 7 p.m.
Walker's Bluff presents Breakfast with Santa at Legends on December 6, 13 & 20 from 8-11 a.m.
Member-to-Member Discounts: Don't forget to check out your member-to-member discounts. Click here to start saving today. Come out on #GivingTuesday and show your support. What's Giving Tuesday? A global day dedicated to giving back. Black Friday. Cyber Monday. Giving Tuesday! The Share Love Event supports Hospice of Southern Illinois by donating $250 with each purchase of a Subaru during 11/20/14-1/2/15. The event includes door prizes and refreshments. RSVP today by clicking here! 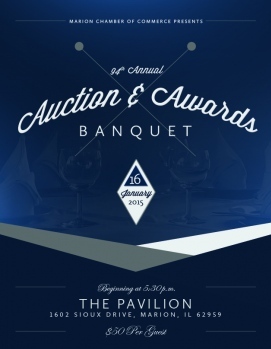 RSVP by January 5, 2015 by calling (618) 997-6311, e-mailing director@marionillinois.com or clicking here. Sponsorships still available. Click here for more information. Ten area Chambers of Commerce along with several regional businesses have teamed up this holiday season in an effort to encourage Southern Illinoisans to do a majority of their holiday shopping in the region, rather than traveling out of the area or shopping online. 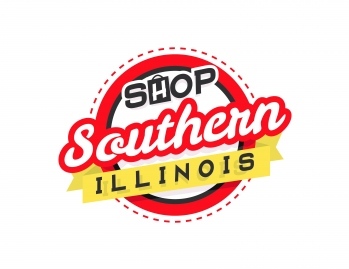 The effort, called “Shop Southern Illinois,” features a website, www.shopsouthernillinois.com, where residents can learn some of the reasons it is important for Southern Illinoisans to shop locally and take an online pledge to do most of their own holiday shopping in the region. By making the pledge, participants are entered in weekly drawings to win prizes including a gift basket from Walker’s Bluff; gift certificates to 17th Street Bar and Grill; 14 tickets and use of a luxury suite during a 2015 Southern Illinois Miners game and the grand prize, a year’s worth of Pepsi courtesy of Pepsi MidAmerica. There are no costs associated with the program. Save on advertising with Shop Southern Illinois! GateHouse Media newspapers are partnering with the Shop Southern Illinois program to grow your business by encouraging the community to Shop Southern Illinois this holiday season. Need to pick up a bottle of wine before your next holiday party? Read more for a full list of retail locations that carry Alto Vineyards wine. Happy Holidays! When looking for that special spot to host your holiday party, keep in mind Alto Vineyards' new tasting room. Help Us Recycle Our Old Catalogs! Let's recycle together. Help us recycle our old catalogs! Every catalog turned in = entry to win a free tv! The end of the year is quickly approaching and the Free Application for Federal Student Aid (FAFSA) is something crucial on the To-Do-List for seniors. The Marion Chamber of Commerce is a Local Network Provider that helps its members promote their businesses locally and nationally. Marion Chamber of Commerce Members receive the assistance they need to be sure member businesses are properly set up online. The Marion Chamber of Commerce has invested in a state-of-the-art, community-wide economic development infrastructure. This provides a SINGLE network that can host all of the businesses within the community. Members can now be connected to the Official Area Search Engine for the community, and the Official Mobile Application while leveraging the significant prospect traffic coming into the organization's network. Your Traffic Catcher System (TCS) landing page is your primary tool for sharing information about your company, products, or services. This page makes it easy for customers and other members to refer you to others. This can be done via email, the member business network, and social tools like Facebook, LinkedIn and Twitter. You can leverage your landing page via your website or we can convert this landing page into a full website. We'll automatically link your landing page to the member directory, Chamber Search Engine (Area Search Engine) and the organization's website. You can expand its value by linking it in your email signature, to other pages you may have on the Internet, and in all customer facing emails. Egyptian Board of Realtors Inc. The Information and Resource display located in the lobby of the Marion Chamber is a great, affordable way to do just that. We’ve enlisted the help of marketing experts at Profile Display Inc. to help each Chamber member make the best use of this valuable resource. Someone from the list below will be contacting you shortly to discuss how the information display can be used to benefit your business. Many members are already taking advantage of this opportunity and spaces are limited!